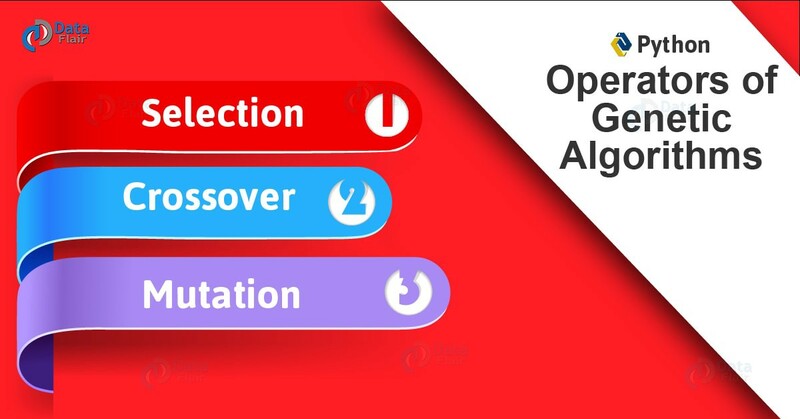 A Genetic Algorithm (GA) is a metaheuristic inspired by natural selection and is a part of the class of Evolutionary Algorithms (EA). We use these to generate high-quality solutions to optimization and search problems, for which, these use bio-inspired operators like mutation, crossover, and selection. In other words, using these, we hope to achieve optimal or near-optimal solutions to difficult problems. Such algorithms simulate natural selection. For any problem, we have a pool of possible solutions. These undergo processes like recombination and mutation to bear new children over generations. The search space is the set of all possible solutions and values the inputs may take. In optimization, we try to find within this search space the point or set of points that gives us the optimal solution. Each individual is like a string of characters/integers/floats and the stringsare like chromosomes. Since the population size is constant, some individuals must die to make room for newer ones. We arrive at a situation of convergence when the difference between offsprings produced by the current and ancestral populations is no longer significant. Then, the algorithm converges to a set of solutions for the problem. It prefers individuals with better fitness scores and lets them pass genes on to successive generations. This lets individuals mate. We apply the selection operator to select two individuals, and randomly choose crossover sites. We then exchange the genes at these sites- this produces an entirely new individual. 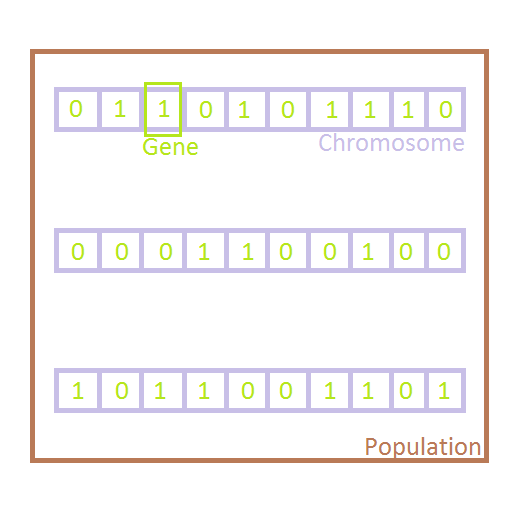 In mutation, we insert random genes in offsprings to maintain diversity and avoid premature convergence. Let’s try to build a Genetic Algorithm in Python that can play something like Guess the Number better than us humans. This is a game where I randomly select a number between 1 and 10 (both inclusive) and you guess what number I have picked. Seems like no big deal, but when we start talking about 100 or 1000 numbers, it quickly becomes a problem. How do we improve our guesses? What can we do but depend on sheer luck? This ultimately turns into a mechanical process. Maybe we could decide if a certain guess is closer to the solution in a certain direction? Possession of such domain knowledge means we can get to the solution faster. To make informed and improved guesses, the algorithms make use of random exploration of the problem space. Along with that, they also use evolutionary processes like mutation and crossover (see above). Without experience in the problem domain, they also try out things humans never would dare attempt. Okay, now let’s try implementing this in Python. Bear in mind that the fitness value for a candidate is how close it is to the optimal. Here, it means how many letters match what it should be- “Hello World!”. Let’s start with building a gene set. Now, let’s generate a guess. Here, random.sample() chooses sampleSize random elements from geneSet. Now, let’s do something to calculate the fitness value. With zip(), we can iterate over two lists at once. Now, let’s perform mutation. This is to convert the parent into an array with list(parent). Then, we replace 1 letter with one that we randomly select from geneSet. Finally, we recombine the result into a string with .join(). To avoid wasted guesses, this uses an alternate replacement if the randomly selected newGene is equal to that we expect it to replace. The next functionlets us display what is happening. We’re all set. Let’s begin with the main program now. And now, a loop to generate a guess, request its fitness, compare that to that of the previous best guess, and keep the guess with the better fitness. Did you see how the fitness gradually developed? Finally, let’s talk about where we typically use such Genetic Algorithms with Python. So, this was all in Python Genetic Algorithms. Hope you like our explanation. Today, we learned about Python Genetic Algorithms and their operators- selection, crossover, and mutation. We talked about the fitness function and took an example problem to demonstrate such Genetic Algorithms Python. 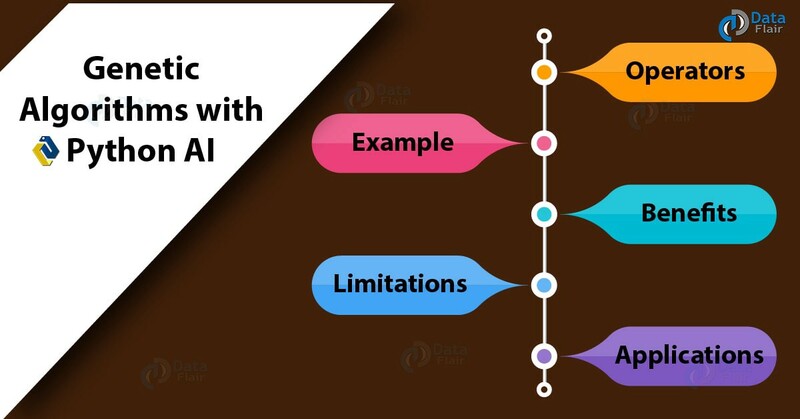 Finally, we learned of benefits, limitations, and applications of Python Genetic Algorithms. Still, if you have any doubt, feel free to ask in the comment tab.